Synopsys, Inc. $735 million acquisition of Avanti Corporation, approved June 2002. Intellectual property due diligence as counsel for Synopsys, Inc.
Optical Products Development Corp. v. Dimensional Media Associates, Inc., 134 F.Supp.2d 320 (S.D.N.Y. 2001). Digital Equipment Corp. v. Intel Corp., No. 4:97 Civ. 40080 (D.Mass. 1997). Avid Technology, Inc. v. Data Translations, No. 1:95 Civ. 11193 (D.Mass. 1995). Tektronix, Inc. v. LeCroy Corp., No. 3:92 Civ. 1440 (D.Oregon 1992). U.S. Patents Nos. 5,237,513, August 17, 1993, and 5,502,648, March 26, 1996, for “Data Processing Method of Generating Integrated Circuits Using Prime Implicants.” Based on MIT Master’s Thesis. U.S. Patent No. 3,997,860, December 14, 1976, for “Miniature Memory Bit Holder” (while in Stuyvesant High School, New York, NY). Massachusetts Institute of Technology, Research Laboratory of Electronics, Cambridge, MA. Teaching Assistant, Summers 1990 and 1991, Seminar in VLSI Design for visiting professors. Symbolics, Inc., Cambridge, MA. Member of Technical Staff 1985-1987. MIT spinoff company that commercialized Lisp Machine. Software engineering of in house integrated circuit design system. Bell Telephone Laboratories, Robotic Systems Research Group, Holmdel, NJ. Summer 1982, Fall 1982 and Summer 1983. Assisted the design and fabrication of an integrated circuit for robot vision. 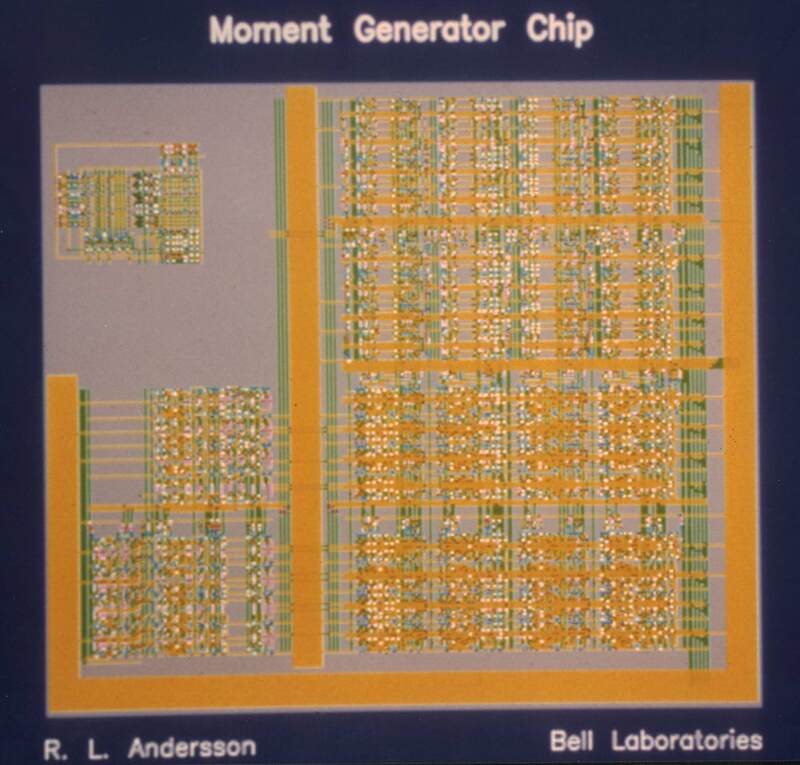 This vision chip became a key part of an article by Russell L. Andersson: “Real-Time Gray-Scale Video Processing Using a Moment-Generating Chip,” IEEE Journal of Robotics and Automation, Vol. 1, Issue 2, June 1985. As an independent research project, a tool for silicon compilation (called “Bool”) was also developed. Courant Institute of Mathematical Sciences, Ultracomputer Supercomputer Project, New York University, Summer 1980. Locating of errors in supercomputing hardware. Westinghouse (now called Intel) National Science Talent Search: one of forty national finalists in this annual competition among high school seniors. The award was for a computer design specialized to robotic control. The Society for Science, which runs the competition, uploaded to their web site photos of the computer and mechanical robot constructed. Their complete archive of that contest year (1978) can be viewed here, and an overview of the current contest can be seen here.